Notes: After dark on the evening of 4 December, 1951, a bus ran into a marching group of Royal Marines Cadets, of whom 24 died. 22 are buried in Gillingham New Cemetery ( Naval & Military Section ), including 3 in its Roman Catholic enclave. 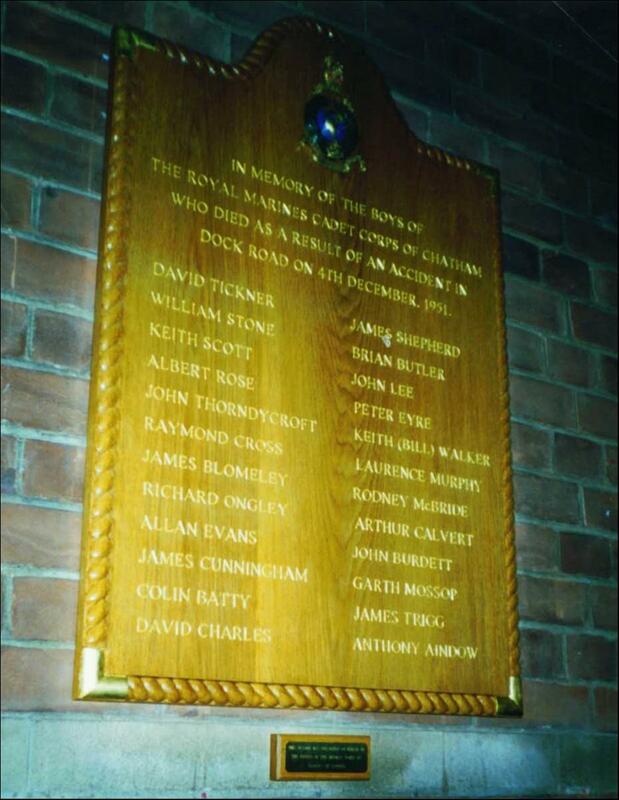 Inscription: In memory of the Boys of the Royal Marines Cadet Corps of Chatham who died as a result of an accident in Dock Road on 4 December, 1951. ( Plaque in St. George's Church West Wall ( South ).